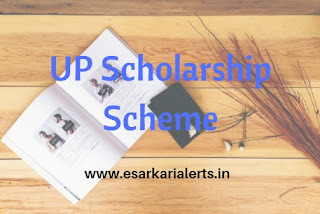 The Samaj Kalyan Vibhag of Uttar Pradesh State releases Scholarship scheme every year for the students of Uttar Pradesh. The registration for UP Scholarship Scheme 2017 is started. You can apply for the scholarship by the online mode. The starting date for UP Scholarship online application is 01-07-2017. The last date of online application for the scholarship for post-intermediate courses like UG/PG/Doctorate etc. is 01.11.2017. The last date for other class’s students is 28-09-2017. So, students if you are eligible for this scholarship and you want to apply then apply before the last date. You have to submit the hard copy of your online application form in your school/college after the online registration. Any candidate can apply for this scholarship who studies in Uttar Pradesh State. You will get all the information of this scholarship on this page. Several students who are studying in several classes like 9th,10th, 11th 12th and UG & PG courses such as B.Com, BA, BSc, M.Com, MA MSc, BBA, BCA, MBA, MCA, MBBS can fill this online form for getting the scholarship. The scholarship is very important for those students who have the weak financial condition and who are unable to prolong their learning. This scholarship is the best opportunity for the UP Students. Check your eligibility before applying for the scholarship. The eligibility criteria for the scholarship scheme are given below of this page. Read this full page to get all the information about your scholarship. All the information related to your scholarship is given below of this page. Apply before the last date of online application and submit the copy of application form in your college. Visit the official website of Samaj Kalyan Vibhag of Uttar Pradesh State www.scholarship.up.nic.in to fill up the online application form. The students should have the following documents for applying for this scholarship scheme. The students must have the following eligibilities for applying for the scholarship. The minimum annual income is different for all categories. The applicants must be a student of UP in a Government school or in a school which is recognized by Govt. or by a Central/State Board of Secondary Education. The minimum marks in the last examination must be 50% to avail this scholarship. The annual Income limit for OBC, SC, ST students must be less than Rs. 30,000 and for Minority students must be less than Rs. 1,00,000 and for General students must be less than Rs. 19,884 for Rural & Rs. 25,546 for Urban. Open the official website of the department. Now, click on the student tab. Then, find and click on the “registration” button. After that, select option of pre-matric or post-matric. Now, click on the fresh button. Now, you will see an application form on your screen. Just fill up your required details in the form. Upload you photo and signature. Take a printout of your application form by clicking on print button. Submit the hard copy of your application from with necessary documents in your institute. First of all visit the official website of the authority. Then, find and click on the “student” button. Click on the registration tab. Then, select pre-matric or post-matric. Now, click on the “Renew” option. Log in by your last year registration number and other required details. Make some changes in the application if required. Click on the print button to take a print of your application form. Submit a hard copy of your application form along with required documents in your Scholl/college. So, candidates this was the complete guide as regards to the UP Scholarship Scheme 2017. We hope that you have understood all details regarding this UP Dashmottar Scholarship 2017. If you want to apply for this scholarship then visit the following official link.